Work continues apace on the Encyclopedia of Science Fiction, with my most recent contributions including a place-holder entry on Ken Liu. I say place-holder because I am sure he will be winning a bunch more awards before long. I’ve also written entries on Ryu Murakami and Hiromu Arakawa, but I’m probably proudest of the one I’ve done on Tora Kizu. I like “The Wedding Shrouded in Grey” so much that I’m actually translating it at the moment with Motoko Tamamuro, although I have no idea who would be interested in buying a Japanese steampunk story from 1927. 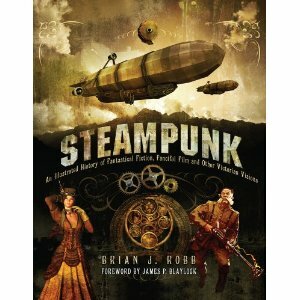 Out today, Brian Robb’s new book Steampunk: Victorian Visionaries, Scientific Romances and Fantastic Fictions, notable among a slew of lesser works on the sub-genre by devoting a whole chapter to its Japanese manifestations, which include Japan-only spin-offs from the John Carter series, Rhett Butler running guns to the Shogun, Emily Bronte in a time machine, and a novel called simply Steampunk! which has trains in it. And dinosaurs. 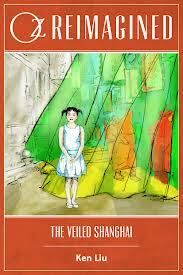 Another possibility for your Christmas stocking, perhaps…? I’ve got an article up on the Manga UK blog today about the Japanese prequels, sequels and pastiches to John Carter of Mars. This draws, of course, on the work I’ve been doing for the Science Fiction Encyclopedia to chronicle Japanese authors like Hitoshi Yoshioka. There’s also a little bit about Japanese steampunk that doesn’t get any attention abroad.